‘Wonder Woman’ is coming to theaters in just a few short months. Here’s everything we can tell you about it so far, inexplicably, as though rising from deep slumber. 1. Wonder Woman will take her alter ego from a nurse in the military: Startling awake, with one foot in reality and the other still in a dream, our mind was consumed by the vivid image of Wonder Woman standing silently in a barren plain. We were there too, and our leg was wounded, being tended to by an army nurse creating a tourniquet out of a lasso and golden cuffs, and all we could glean from this was a surreal certainty that the Amazonian demigod will fund a U.S. military nurse’s trip to South America in exchange for her alias. 2. 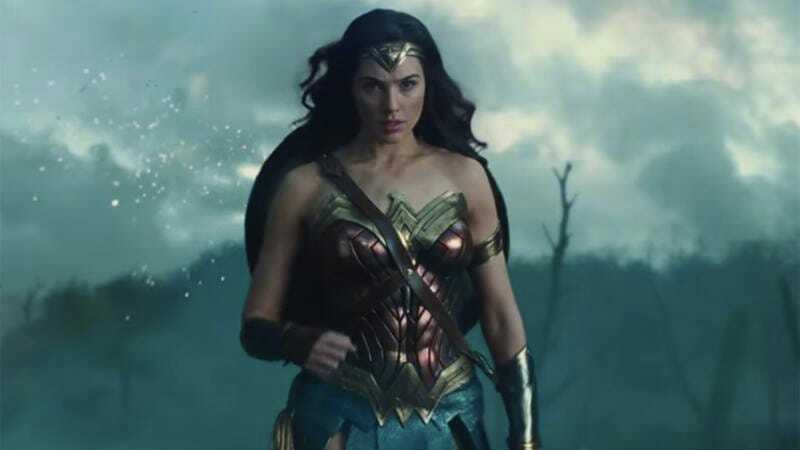 The production cost over $100 million: It’s…it’s as though we’ve always been aware of this, as though we were born to this world knowing Wonder Woman’s budget as innately as the act of breathing. Our conviction in this is so strong it terrifies us. 3. Wonder Woman will have to betray her family at some point in the film: That Wonder Woman will be forced to side with her moral compass over her family’s wishes can only be explained via a nonlinear stream of colors, emotions, and soundless memories from some inaccessible place in our subconscious. Attributing this to mere speculation would betray the lucidity with which it resides in our psyche. The foundation of all our knowledge lies in Wonder Woman leaving her Amazon homeland for a greater good. All else is subject to doubt. 4. This will be the first big-budget superhero film ever directed by a woman: But just how did this historic statistic enter our purview? Did our soul carry this knowledge over from a past life, or foresee it in a future one? We have seen with eyes closed that Patty Jenkins is to shatter the glass ceiling for tentpole summer films directed by women. This is rooted in our hearts, where the strongest sense of truth is forged. 5. Arnold Schwarzenegger has a role in the film during the post-credits scene: Are we awake, even now? 6. The story will encompass multiple timelines: Was Wonder Woman always going to have an adventure during both WWI and the present day? Or did we cause the film to diverge into separate timelines by thinking it? The only honest explanation we can offer is that it is a gift from some font of knowledge located in the expanse between sleep and wakefulness.